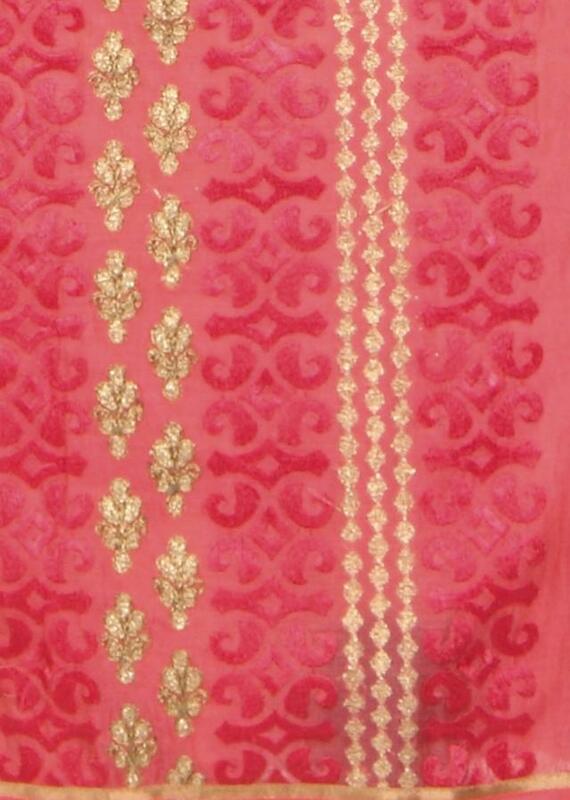 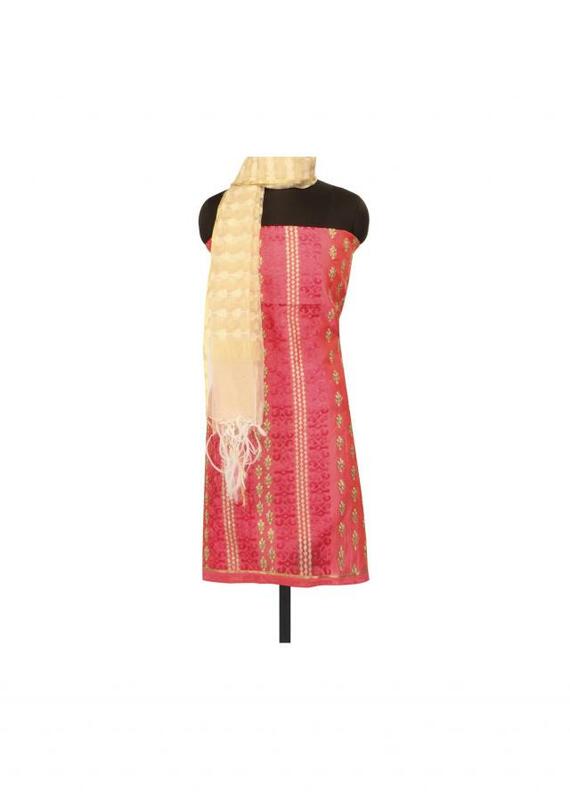 Pink unstitched suit featuring in silk. 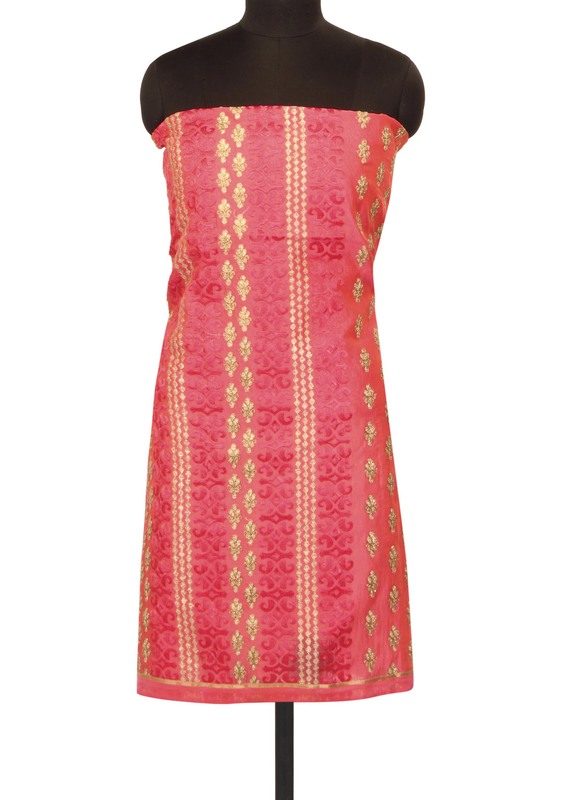 Its embellished in resham and and zari embroidery. 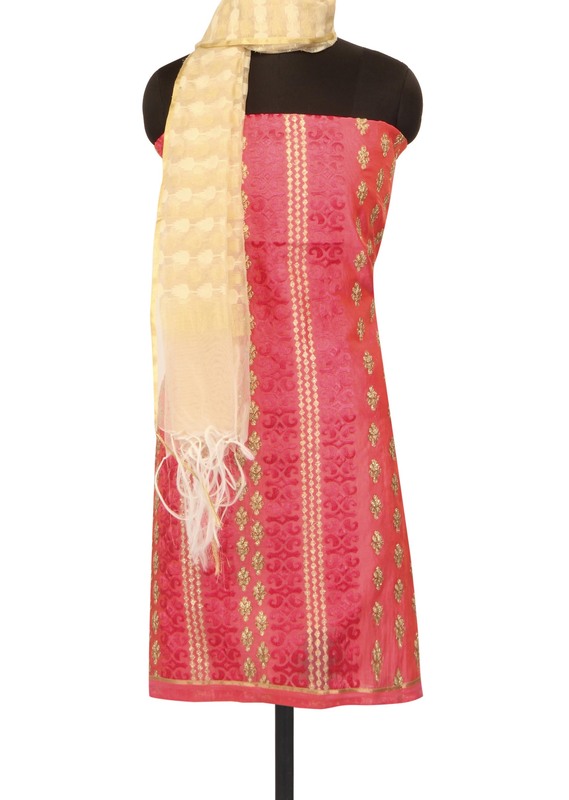 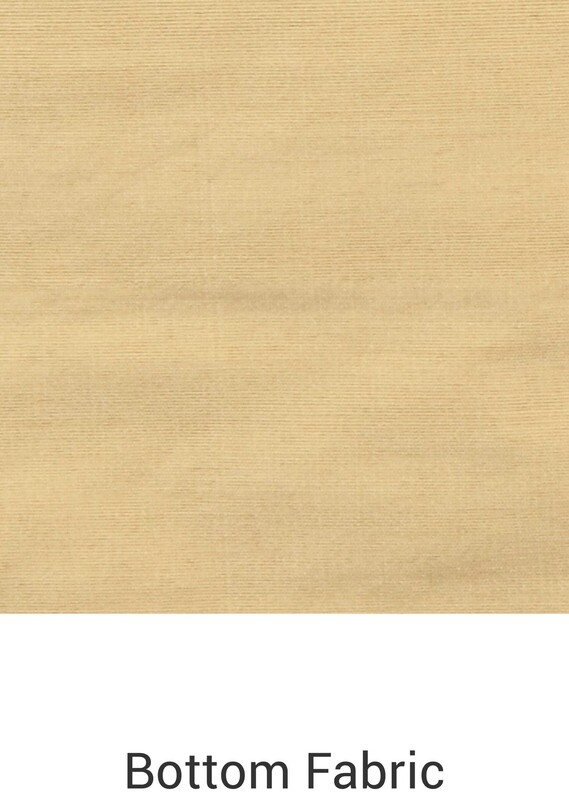 Bottom fabric is in cotton and dupatta in silk.